For $70 we will sell you a gate (with hinges and a latch) and two 1.2m hardwood gate posts. 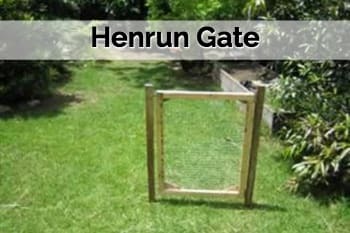 We used to make readymade henruns but ended up with lots of short lengths of cut wire when people miscalculated the length needed. 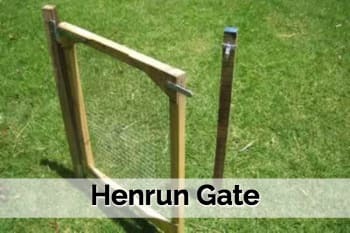 What you do is hammer the gateposts into the ground, attach the gate and latch and then shoot off to the local hardware store and buy some cheap chookwire, some tomato stakes and cable ties and then, hey presto, you can make your henrun as big as you like (and/or move it around). 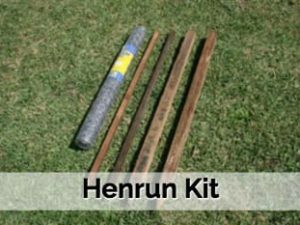 Alternatively, you could order one of our Henrun Kits and we will install it for you and just charge you for what you needed or sell you the bits to install yourself. Rentachook started in 2001 as an idea to encourage people to keep chickens – an environmentally sustainable pet. 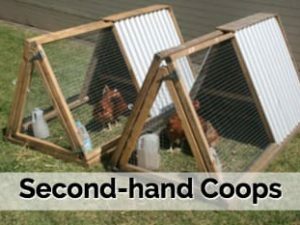 The concept is that you get to try keeping chooks without having to commit to having them permanently. 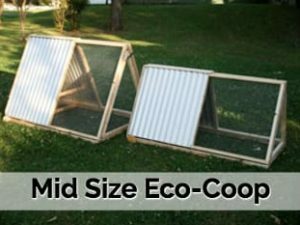 Like a try-before-you-buy option, what happens is you buy the Eco-Coop package outright (a chicken coop, 2 hens, feeder, waterer, food and straw) but have 6 weeks to decide if keeping chooks is right for you, your lifestyle, your garden etc. Phones: (0409 CHOOK1 (0409 246 651). Copyright © Rentachook 2004-2018. Rentachook, rent a chook and Eco-Coop are trademarks owned by Rentachook Pty Ltd – All Rights Reserved.